With SubscriptionBoss 1.17 you now have the ability to set up basic shipping charges for physical products. 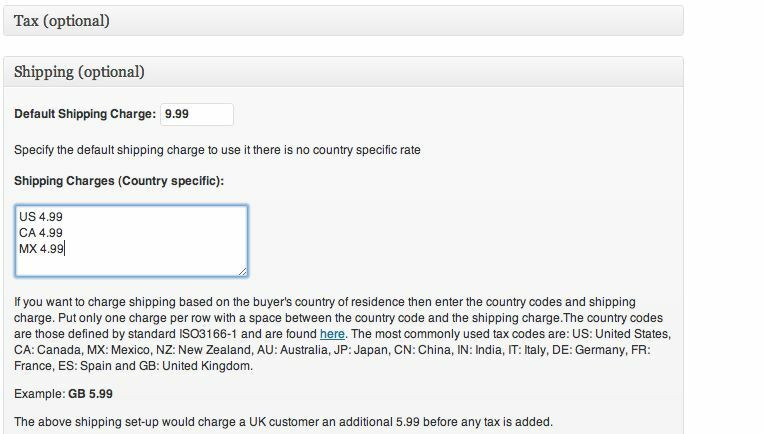 You can set up a default shipping charge per order and also a country specific charge. You need to control whether or not shipping charges are applied to a particular product/subscription. You do this by clicking a checkbox in the Order Confirmation section. Shipping charges will only be applied if this box is ticked. Note that you are limited to a flat charge based on the buyer’s country. The reason for this is that the Infusionsoft API does not support sophisticated shipping charge mechanisms such as those that are based on the value of the order, promo codes or anything else. Note that shipping charges can only be calculated once you know the buyer’s country of origin and hence the final charges is unknown when they log in to PayPal so only product charges can be shown at that point. It is therefore recommended that you use an “Order Confirmation Page” for the order. This means that rather than the button on PayPal being labelled as “Agree and Pay” it is “Agree and Continue”. On returning from PayPal the buyer ends up on a page with a “Confirm Order” button below a breakdown of the charges – the total product charges (important if you have a paymnet plan with multiple payments), the shipping charges and the amount payable today. This may include tax too. The buyer is hence made explicitly aware of the charges and may abandon at that point or proceed with the order. Please note that your Order Confirmation page must reside on the site where you have SubscriptionBoss installed and must include the [subb-confirm] short code which displays the order breakdown.